Well, well, well…this dinner turned out EXCELLENT!! In fact, hubs said this was his second favorite meal of all time. Whoa! Here’s how it went down…I bought a box of Bisquick to make my yummy Ultimate Sausage Balls but had quite a bit left over. We make our own homemade pancakes (recipe coming soon!!! ), so I needed some other clever way to use my Bisquick…well, I saw a recipe for chicken fingers on the back of the box, so I just changed it a tad and created Chicken Parmesan instead. It’s so simple to make, it’s fast and best of all, it’s baked! No messy frying going on here…you’re going to love this dinner! In one shallow dish (I used a pie plate), combine Bisquick, Italian seasoning and cheese. In a second shallow dish, beat your one egg. Take each chicken breast and dip it first in the Bisquick mix, coating well, then dip it in the egg mix coating both sides, then dip it one more time back in the Bisquick mix. Place chicken on foil lined cookie sheet sprayed with Pam. Brush half of your melted butter over the tops of the chicken and bake 8 minutes. Flip chicken over and brush remaining half of your melted butter on opposite side and finish cooking another 8 minutes. Your chicken should be brown and kind of crispy with the juices running clear. That’s it! We served ours with pasta and tomato sauce. So yummy and simple! made this one last week and won't ever do it any other way! simple and delish! 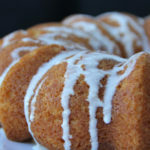 i've yet to try a recipe from your blog that my family doesn't love ~ thanks for sharing! This was delicious! 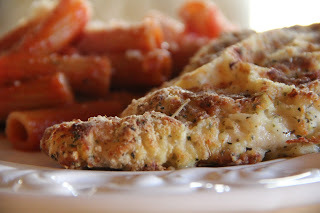 I have tried several chicken parm recipes, and this was by far my favorite! So easy and great flavor. I love baking it in the oven instead of messy, splattering, pan frying. Thanks Shay! 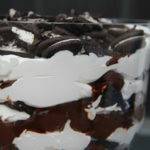 My family loves this recipe, and I love that it isn't messy!! Every time I look up this post to remember the ingredients, I wonder what your husbands first favorite meal is. Please share! That looks good. It’s just after lunch here and I’m hungry all over again. I attempted this tonight, and at 8 minutes, my coating was still wet and no where near done. I suppose this depends on the thickness of the chicken?